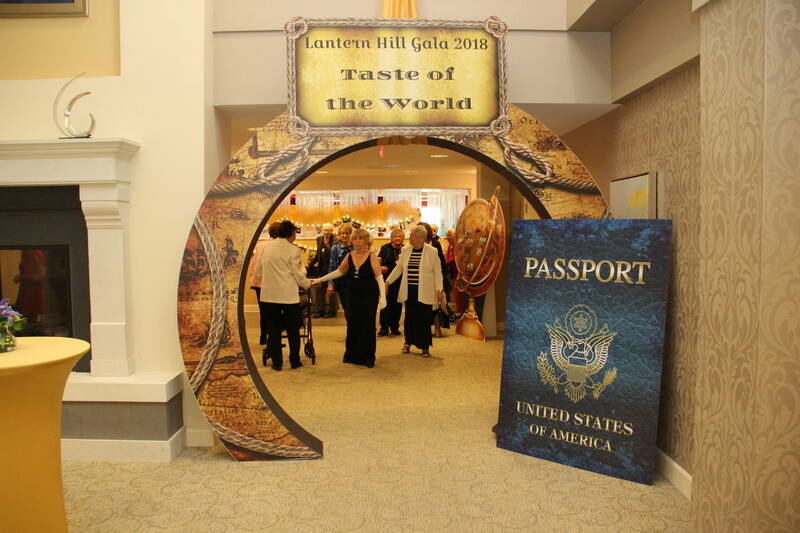 NEW PROVIDENCE, NJ – Hundreds of Lantern Hill residents, staff and guests enjoyed an evening full of great company as well as delicious food and drinks from around the globe at the community’s “Taste of the World” Gala, on Friday, September 14. The elegant party was held throughout Lantern Hill’s newly expanded and re-designed restaurants at the Erickson Living senior living community in New Providence, New Jersey. There was also an expansive outdoor tent erected on the plaza creating a Moroccan-theme experience. Guests enjoyed a cocktail hour, specialty drinks, hors-d’oeuvres, music, the “Magic Mirror” photo booth, and delectable food from different regions of the world prepared by Lantern Hill’s Signature Dining. At the end of the evening, residents and staff danced the night away to a variety of DJ music. Decorated with a spectacular display of photos of residents’ trips from around the world, Union Square was transformed to fit the night’s theme. Other decorations included a giant passport, Eiffel Towers, world globes and maps, sparkling lights, and balloon sculptures of life-size lamp posts and giant bottles of wine created by Dan Evans, a business partner of Erickson Living employee Robbie Furman. Door prizes featured gift certificates to local restaurants including Chez Catherine, Fiorino, Moe’s Bistro, Providence Bar and Kitchen, Restaurant Serenade, Shanghai Jazz, and Spanish Tavern of Mountainside.